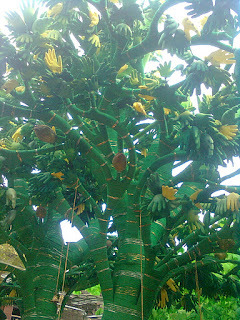 A trip to the beautiful valleys of Kashmir. 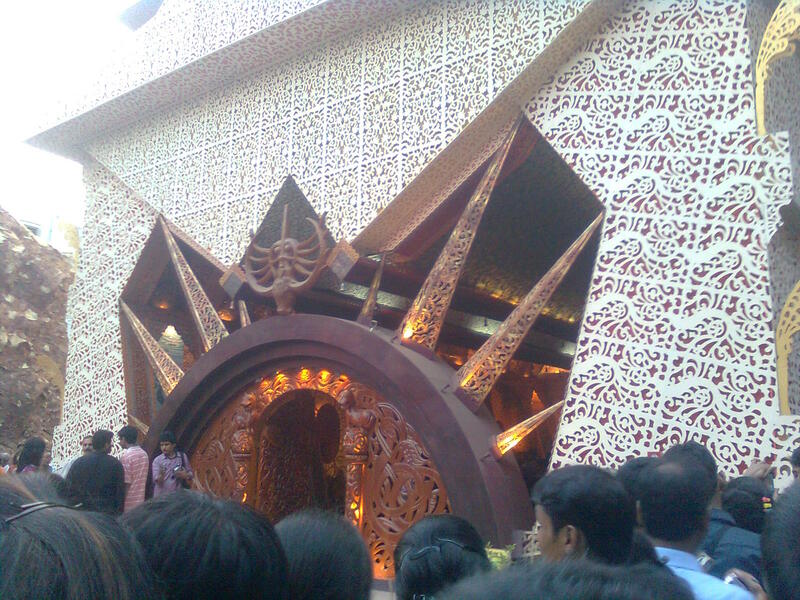 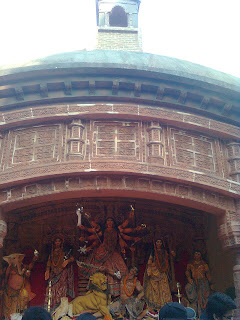 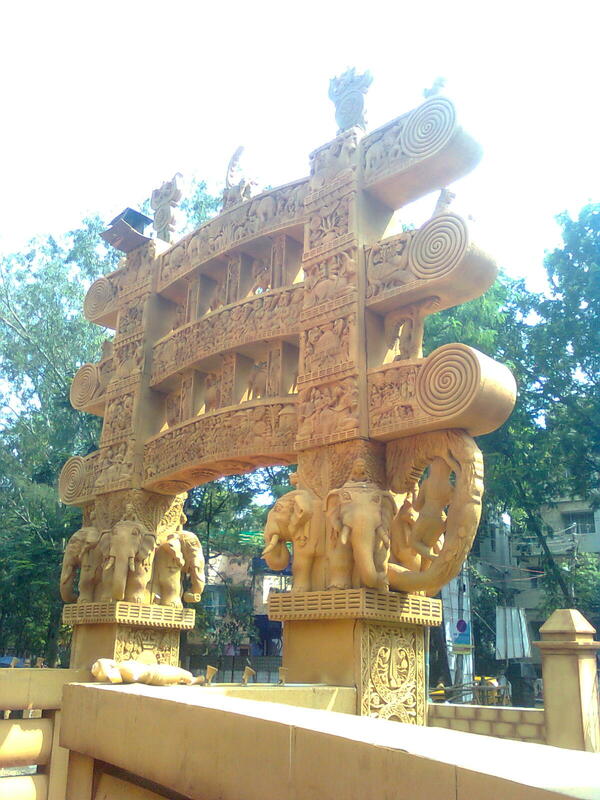 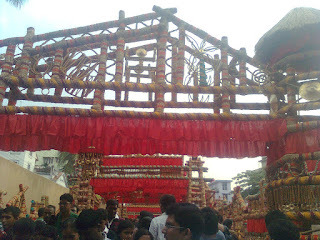 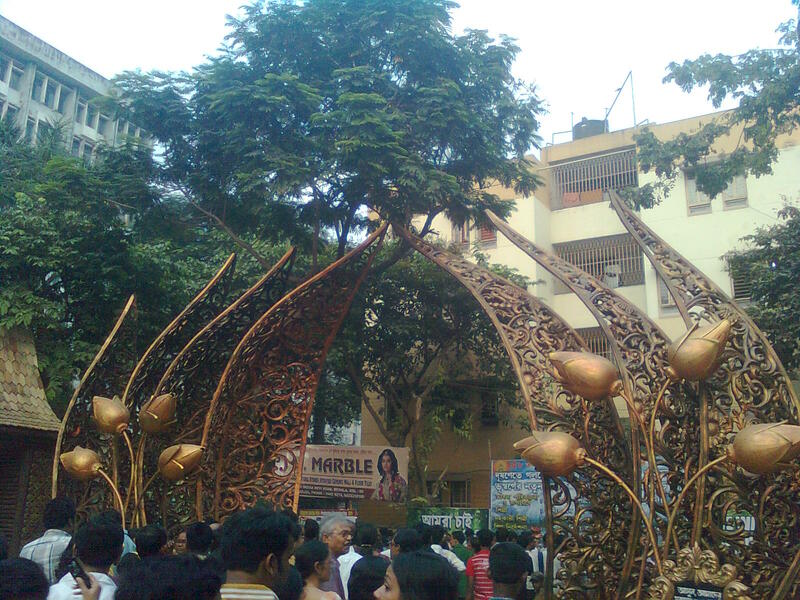 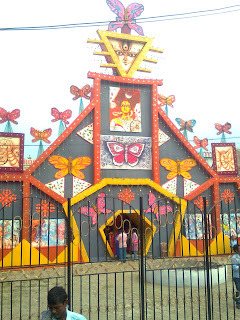 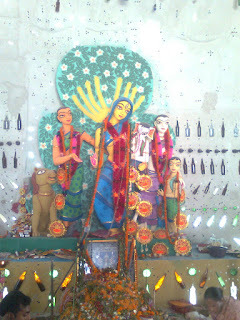 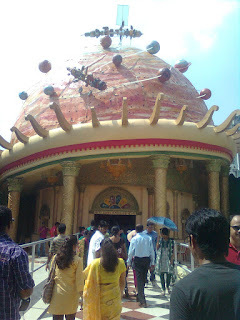 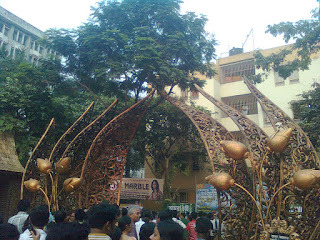 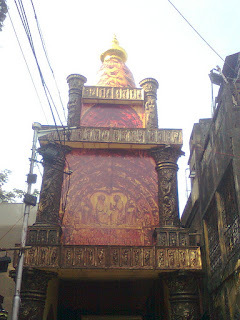 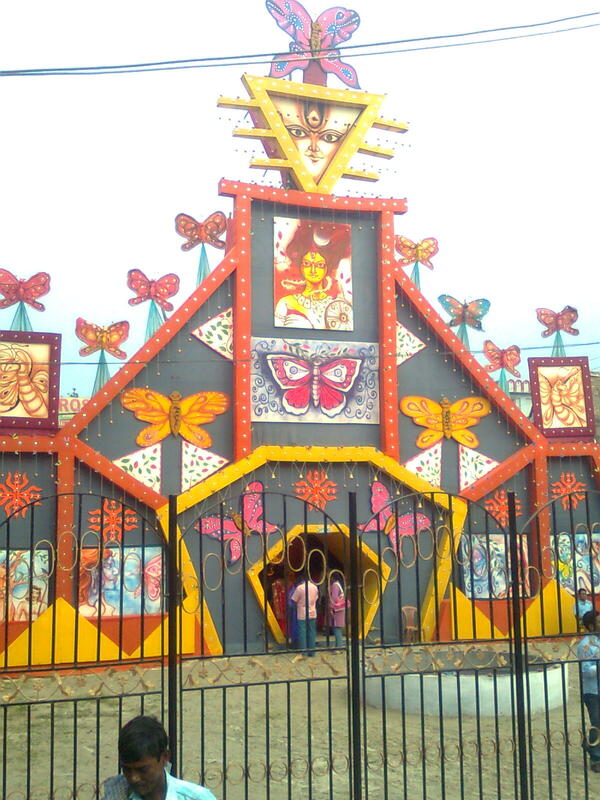 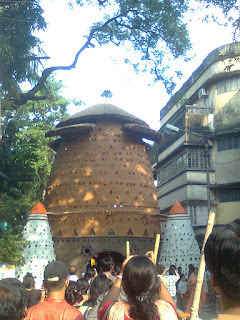 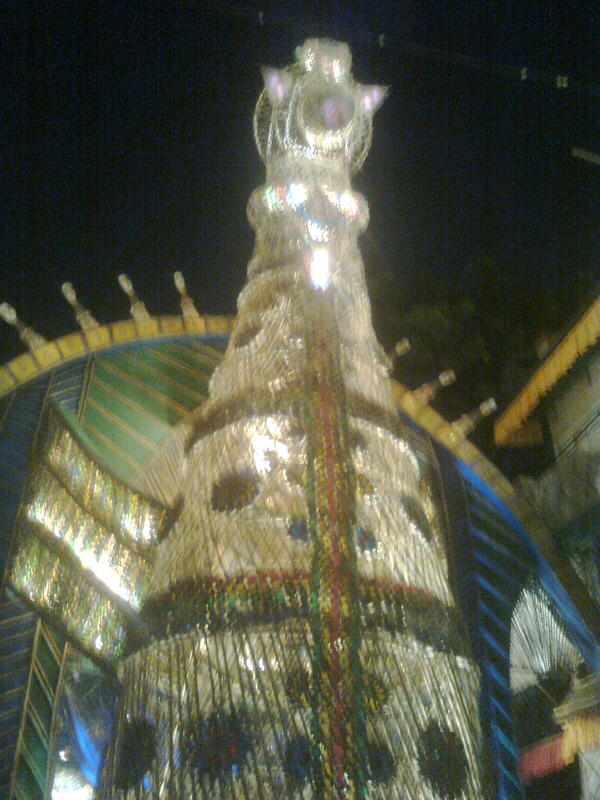 This pandal was made and decorated with colored bamboos. 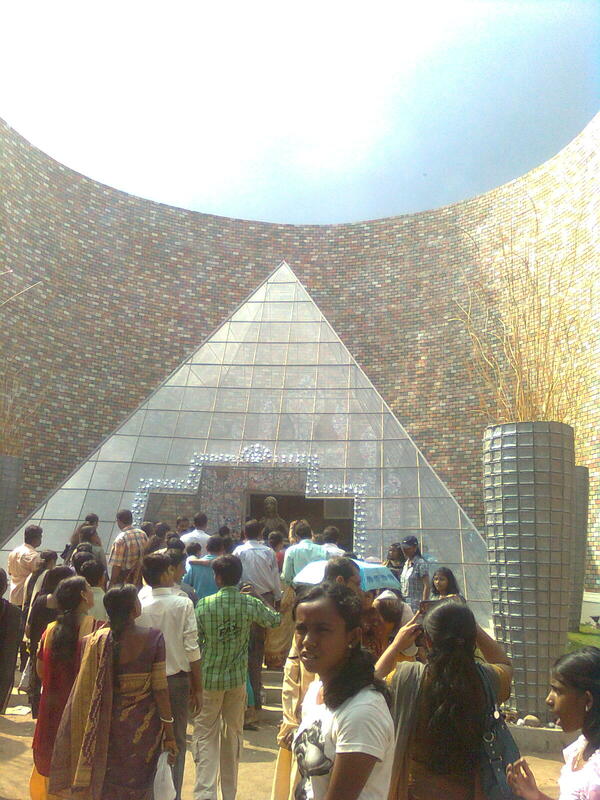 This was based on France's Louvre Museum,you can see the glass pyramid in front. 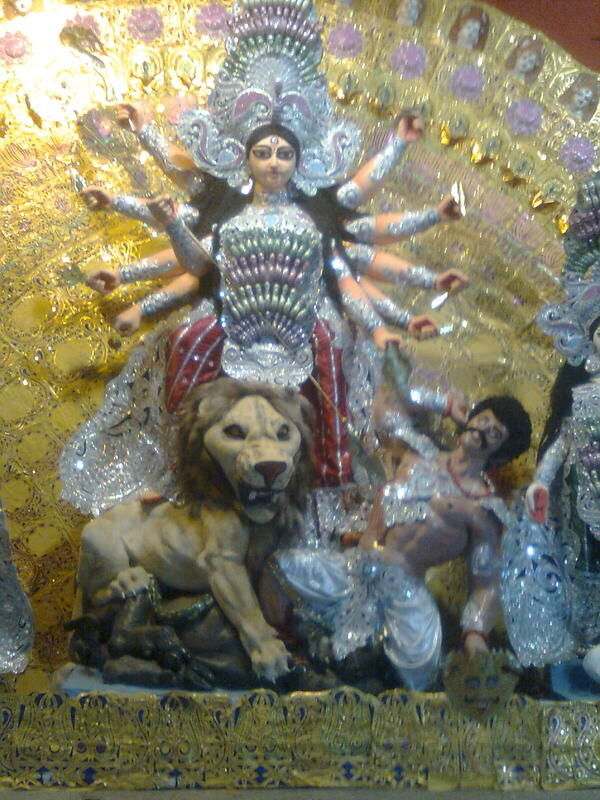 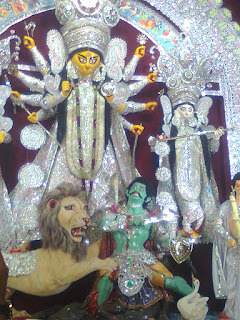 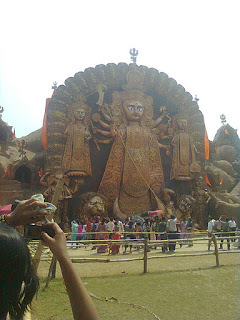 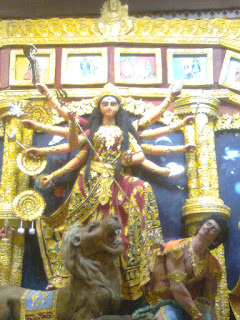 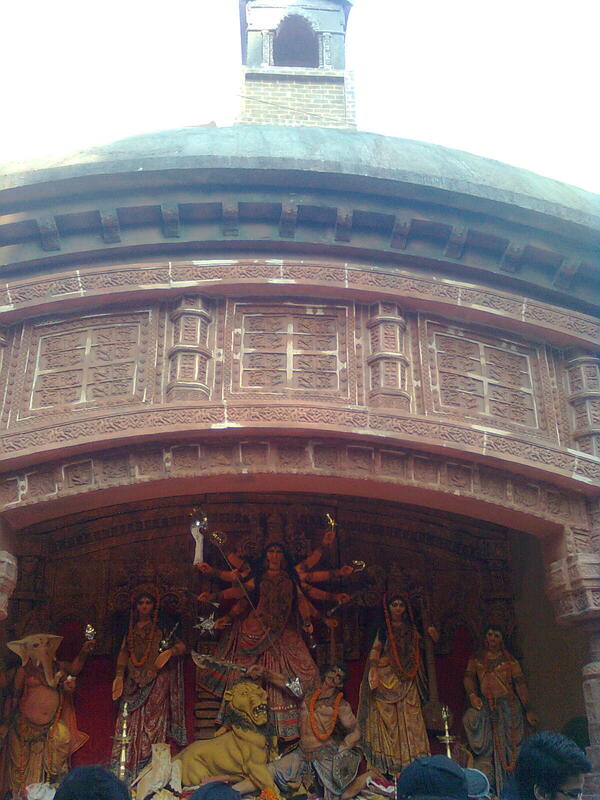 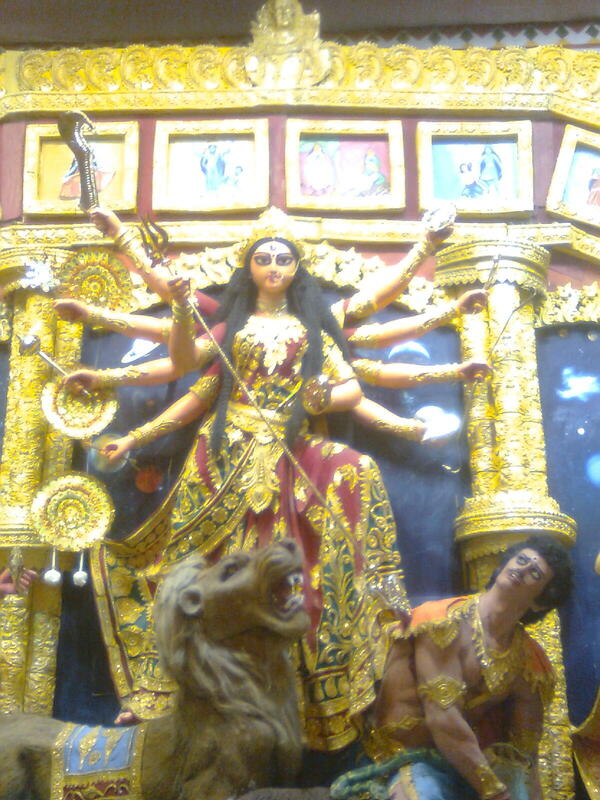 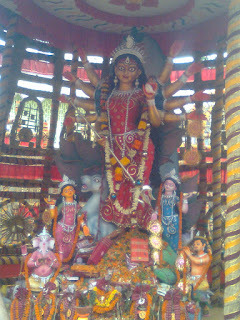 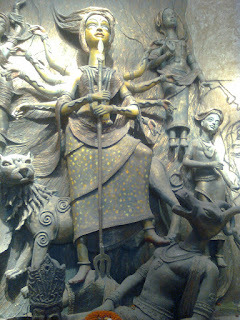 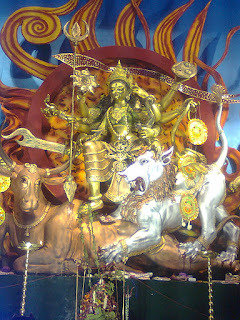 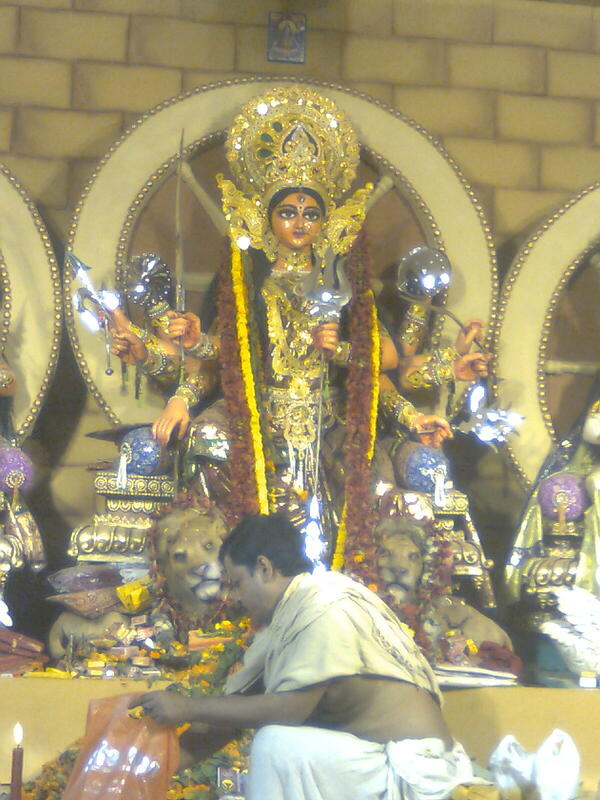 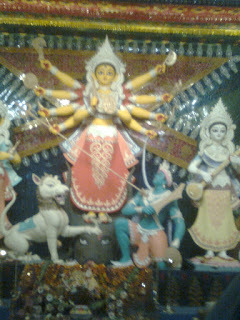 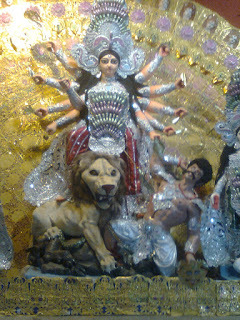 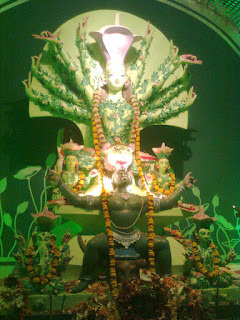 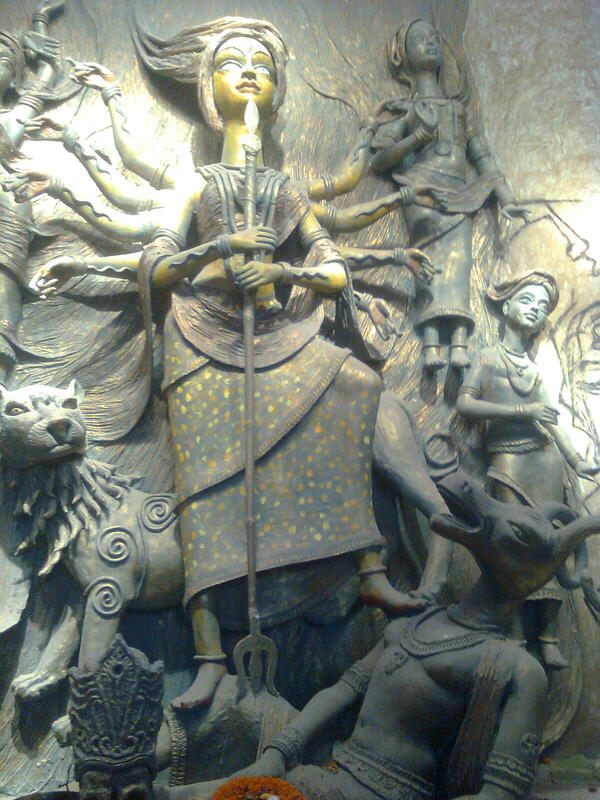 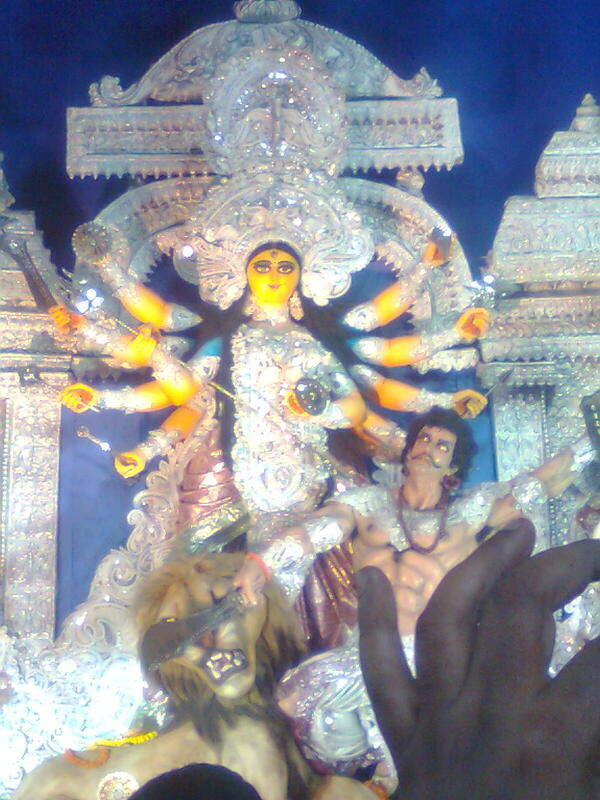 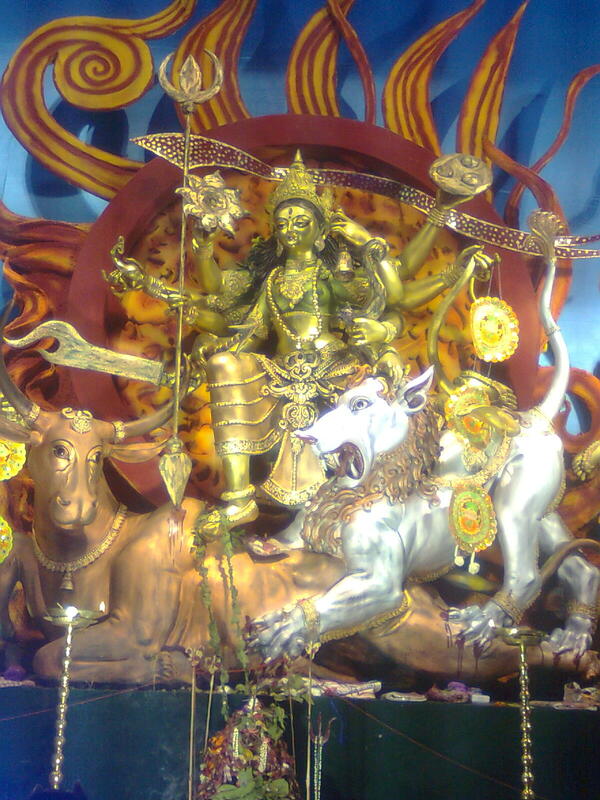 The highest Durga pratima (idol) this year in Kolkata, this one measured a huge 14.5 mtrs!! This one was made out of flutes and hand cymbals !! 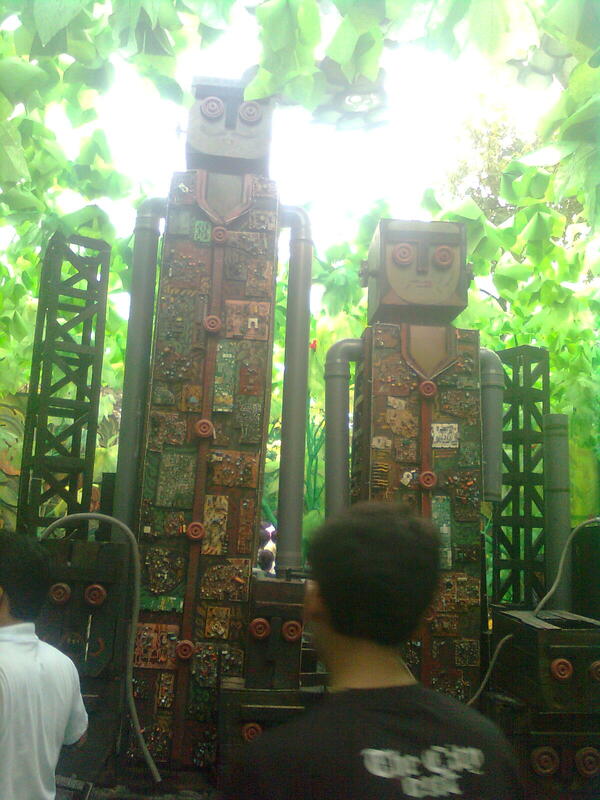 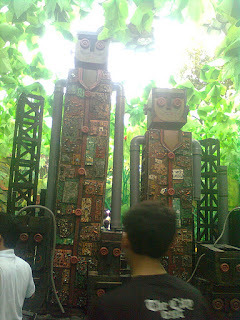 Used circuit items and motherboards were used to make these robots!! 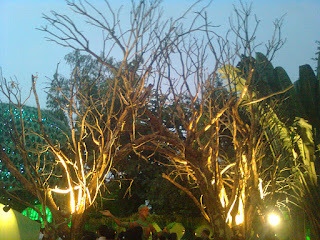 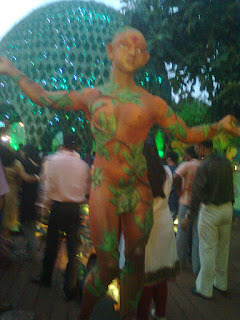 This artificial tree at a pandal was modeled out of synthetic ropes for the trunk and slightly inflated surgical gloves painted green and yellow for the leaves. 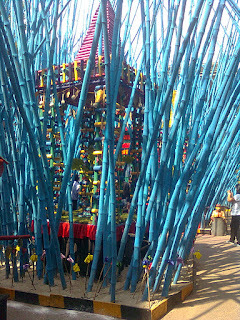 This was made entirely from whiskey,wine and beer bottles. This one was made entirely from tiny bits of mirrors.